Just recently, Tune Talk had introduced their new #SureOne value prepaid pack that comes with free basic internet and unlimited passes for chat, social and music. 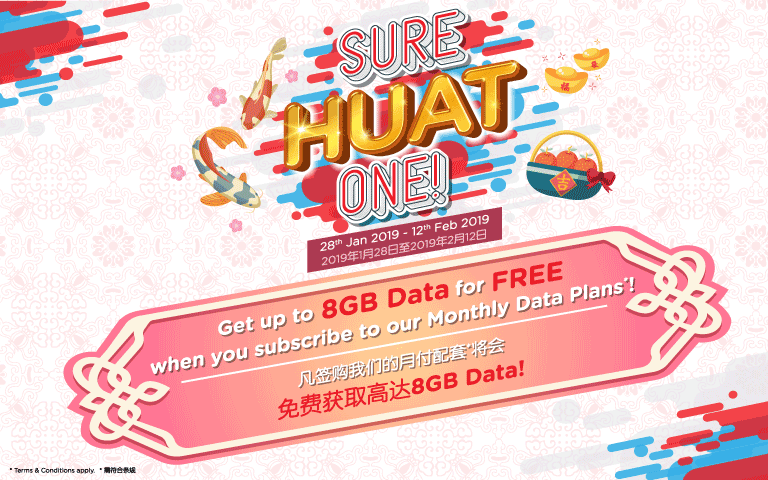 With Chinese New Year around the corner, they are giving free data up to 8GB when you subscribe to their monthly data plans. 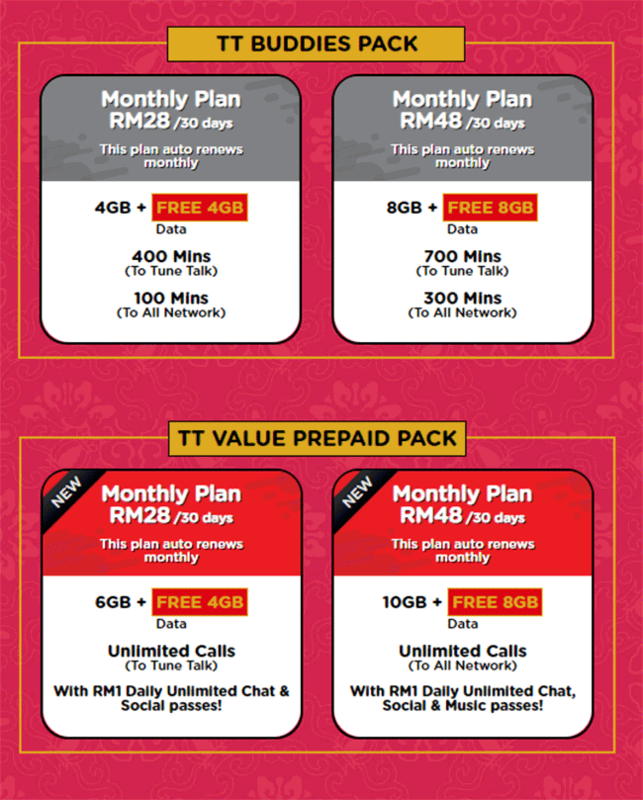 If you activate their RM28 monthly plan, you can enjoy 4GB of free data, while the higher RM48 option gives 8GB data for free. The good news is that this promotion is applicable to both older TT Buddies Pack as well as the new TT Value Prepaid Pack. However, it isn’t valid for Tone Plus & Tone Excel subscribers. 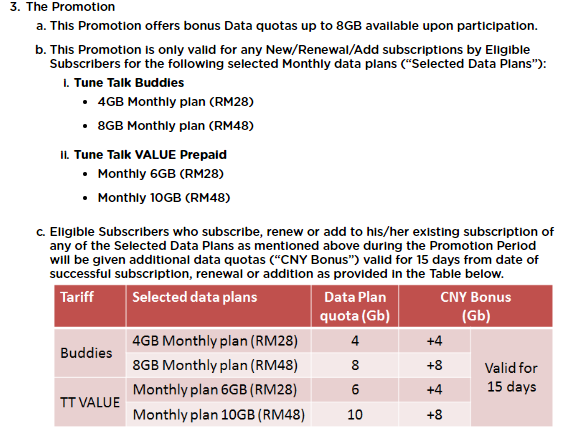 This free extra data promo from Tune Talk is valid from 28 January until 12 February 2019 but do note that the free data bonus is only valid for 15 days as stated in their FAQ below. For more info, visit Tune Talk’s Sure Huat One promo page.